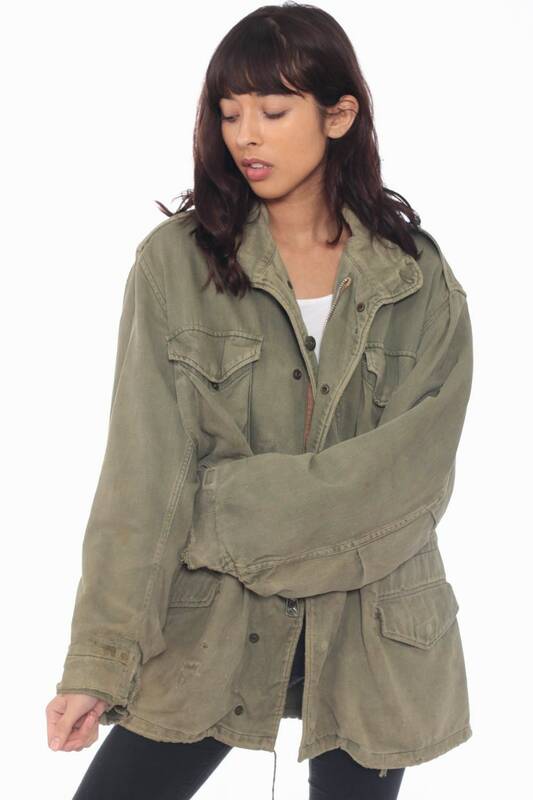 Vintage military jacket in distressed olive green cotton/poly. Works for men or women. Totally distressed and worn. Zipper doesn't work. Best fits men's: Labelled Medium. 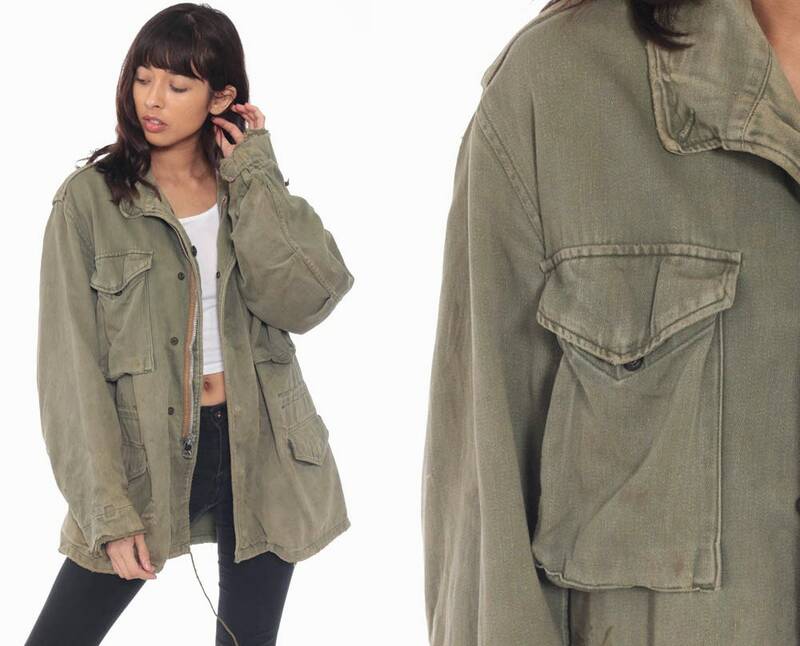 Condition: Distressed. 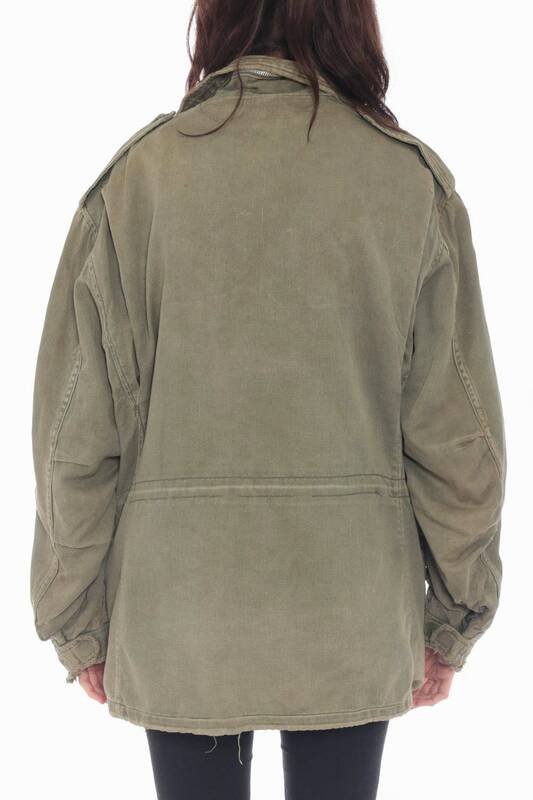 Visible worn areas throughout the front of the jacket. Fraying around both cuffs, and on the hem of the jacket. Faded with spots throughout. Zipper is not functional.